GSM means the weight in gram per square meter of fabric.GSM is a very important parameter for specified a certain quality of knitted fabric. 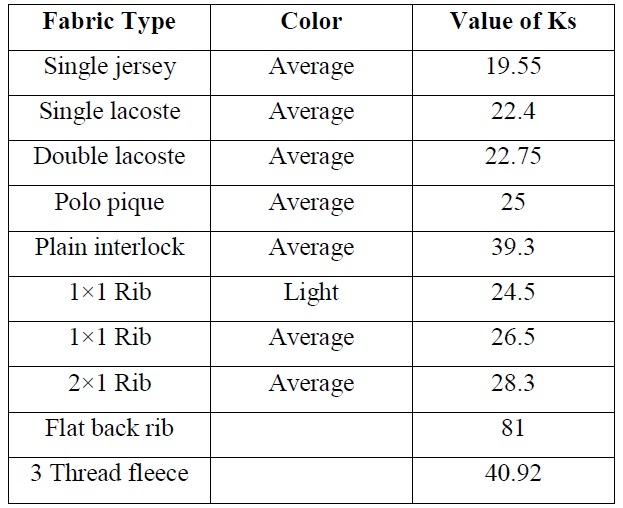 The production of knitted fabric is calculated in weight. The GSM cutter is very popular and easy usable GSM testing instrument used in most knitted factory. But the construction of this cutter is very simple. It is circular disk of 100 square cm area with sharp blade attached to its edge. So 100 square cm of fabric can easily cut by it and weighted at the electric balance to get GSM reading. We calculated the number of Wales in 10 inch fabric unraveling the yarn. Then we divide the no of total Wales by 10 inch to getting the Wales per inch. We calculated the number of course in five inch with the help of counting glass and needle. Then we divide the total no of course by five inch to getting the course per inch. Stitch length is theoretically a single length of yarn which includes one needle loop and adjacent needle loops on either side of it. Loop exits in course in course length and it is that which influence fabric dimension and other properties including weight. In order to determine the stitch length, we count 100 no Wales or stitch and count its length by hanging the yarn on the stitch counter. The reading is found in mm unit. We have fallowed a different way to find out the count of the yarn. At first we unravel a considerable no yarn from the fabric. Then we measured the total length of the yarn and measured the weight of that no of yarn. From these weights, we find out the count of the yarn. N = number of yarn in bundle. L = length of yarn. Wt = weight of yarn. i want to know that relation between gsm & stitch length sacs as for 160 gsm s/j stitch length needed 2.6 for white & 2.65 for average colour here my question is how will we understand for 160 gsm s/l 2.6 or 2.65? may we know what is ks? here, what is TEx ? How will get KG to yds - do you have formula ? such as 1 kgs s/jsy , 160gs = how many yds will be there ?? Will you please explain it with some example..
Will you please explain the same with some example? Example : i have 30's NE ( actual count 28.5) 100% cotton, Required gsm 150 to 155 , Machine GG 24 and 28gg, what stich length should i keep, how to calculate. CPI*SL*39.37*39.37*Tex......here what is tex & how i get tex.....I hope u will give me the ans .Bipul Sir. Tex is the weight in grams of 1000 metres yarn. 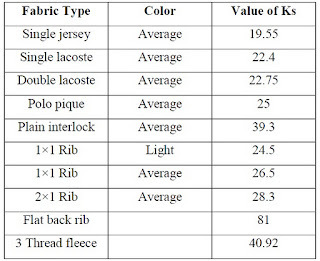 Can you advise yarn count wise GSM for 100% polyester Jersey fabrics, await for your advise. How many GSM of 10cm X 10cm = 2.156gm? Please let me know over cell number 01711125694. How many GSM of interlining weight 10cm X 10cm = 2.156gm? I'm a new learner, it is really very helpful to me . So thank you very much.